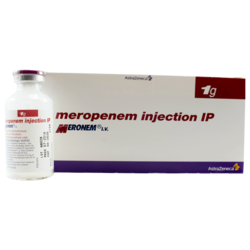 Leading Manufacturer of meronem 1gm injection, meronem 500mg injection, xylistin 2miu injection and xylistin 1miu injection from Mumbai. Manufacturer Astrazeneca Pharma Pvt. Ltd.
Naman Pharma Drugs A Leading Supplier & Exporters Of Pharmaceticals , Generic & Specialty Medicines Moropenem Injection Having Brand Name Meronem Injection Available In 1Box x 1Vial Packaging , Manufactured By Astrazeneca Pharma Pvt. Ltd. It Is Stored Below Room Temperature 25°C, Protected From Light. 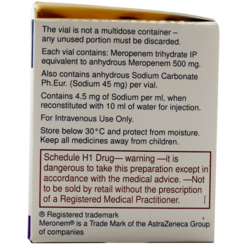 It Is Schedule H Drug, To Be Sold By Retail On The Prescription Of Registered Medical Practitioner Only. Company Astrazeneca Pharma Pvt. 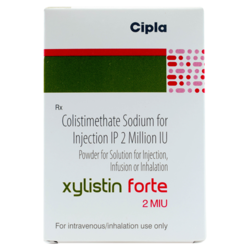 Ltd.
Naman Pharma Drugs A Leading Supplier & Exporters Of Pharmaceticals , Generic & Specialty Medicines Colistimethate Sodium Having Brand Name Xylistin 2Miu Injection Available In 1Box x 1Injection Packaging , Manufactured By Cipla Pharmaceutical Ltd It Is Stored Below Room Temperature 25°C, Protected From Light. It Is Drug, To Be Sold By Retail On The Prescription Of Registered Medical Practitioner Only. 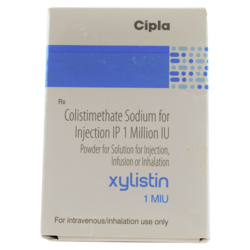 Naman Pharma Drugs A Leading Supplier & Exporters Of Pharmaceticals , Generic & Specialty Medicines Xylistin-1Miu-Injection Having Brand Name Xylistin 1Miu Injection Available In 1Box x Injection Packaging , Manufactured By Cipla Pharmaceutical Ltd It Is Stored Below Room Temperature 2°-8°C, Protected From Light. It Is Drug, To Be Sold By Retail On The Prescription Of Registered Medical Practitioner Only.